You should take your vehicle to a service center if something seems to be off, but it helps tremendously if you know something about car maintenance yourself. It helps if you look at a car parts diagram, so you know where the most important parts in your vehicle are located. Learn about car parts so you can have more in-depth discussions with your service technician about how to adequately maintain your vehicle. The battery is a critical component. It allows your vehicle to turn on in the first place. In a majority of cars, it will be located under the hood, and you can identify it with the (-) and (+) symbols. In the event you need to jump-start your vehicle, you need to connect the red clamp of the jumper cable to the (+) symbol and the black clamp to the (-) symbol. The axle is responsible for transferring power from the engine to the wheels. It is an important part when you want to move, brake and turn. You can tell if your axles are in a state of disarray if they start making loud clunking noises. You will also experience severe vibrations throughout your car, especially when you turn or brake. There are numerous components to your car’s brake system. There is the brake pedal, caliper, light switch, pad and rotor. Most of the time when something is amiss with the brakes, it is a result of something going wrong with the caliper, pad, or rotor. Brake calipers can either be located in the front or rear of the car, but they will be behind a wheel. Brake pads are also behind a wheel, and, over time, the padding will begin to wear down. You know a pad is on its last legs when you start to hear a loud, screeching sound every time you brake. Finally, there is the brake rotor. This part is located alongside the caliper and pad, and it is exposed to a great deal of heat every time you brake. Braking is impaired when the rotors begin falling apart. Always replace rotors in pairs to stay on the safe side. You will find the radiator underneath the hood. It will be located near the engine because its responsibility is to cool the engine down and prevent it from overheating. 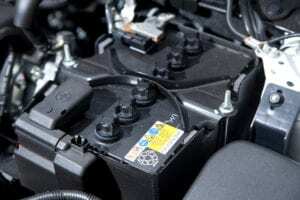 It needs to have sufficient quantities of engine coolant to ensure the engine temperature never rises too high. The AC compressor is found in the engine compartment. It will be on one of the sides and attached to the serpentine drive belt. The AC compressor cycles through Freon in order to provide cool air throughout the vehicle. If you want to use your car’s AC system during the hot summer months, then you need the compressor to be fully operational. You will know when the compressor is damaged because you will not feel any cold air coming through the vents, and the compressor will make loud, bothersome noises when in operation. The muffler is part of your car’s exhaust system and is responsible for keeping it quiet when you drive around town. The muffler itself is located between the engine in the front and tailpipe in the back. Make sure to repair any muffler problems as soon as you notice them, because total catalytic converter failure can result in costly repair bills. When you look at a car parts diagram, you need to take into consideration whether you own a front-wheel drive or rear-wheel drive vehicle. With front-wheel drive, the transmission will be located between the transaxles behind the engine block. With rear-wheel drive, it will be found bolted directly to the back of the engine. Shock absorbers help keep your vehicle stable when you drive over uneven roadways. The absorbers will be located on the underside of your car. Immediate replacement is necessary to prevent further wear and tear to your car’s suspension system. When something feels off with your vehicle’s functionality, take it into a professional service center. Sun Auto Service is here to help you with any car maintenance you need from brake repair to transmission replacement. Feel free to ask our experienced technicians as many questions as you need to, so you can learn about car parts and become a more informed driver.